It was a night to remember for Tottenham fans on Wednesday as they comfortably beat London rivals Crystal Palace in their new stadium's maiden game, with goals from Son Heung-min and then Christian Eriksen rounding off a perfect evening. But the attention was fixed on how Tottenham's stadium, which was meant to be open in time for the start of the season, was taken by fans returning to north London after months at Wembley. It was an emotional return for supporters, and Wednesday's curtain raiser offered an insight into what the future could be like for Tottenham Hotspur in years to come. What a stadium @SpursOfficial. Worth the wait. Fan-bloody-tastic. Just when I thought I couldn't hate Brexit anymore, it's making me miss the homecoming. Gutted to miss this huge and wonderful moment for Tottenham. Tottenham's new state of the art home stadium unsurprisingly hit all the right notes with supporters, especially with little details like a plaque marking the centre sport of the old stadium or building the floor from White Hart Lane's rubble. But for all the understandable hype and excitement surrounding the ground, their match against Crystal Palace wasn't sold out. While the home support knows the reasons why - some premium areas still haven't been finished - that didn't stop opposition fans jumping on to try and ruin Spurs' big day.  you’d have thought they’d sell out the opening game, then again not really a big club so as you were. It comes as no surprise either that it wasn't all opposition fans were screaming about on Wednesday evening, with all to frequent comments about their stadium opening acting as somewhat of a trophy for the club. 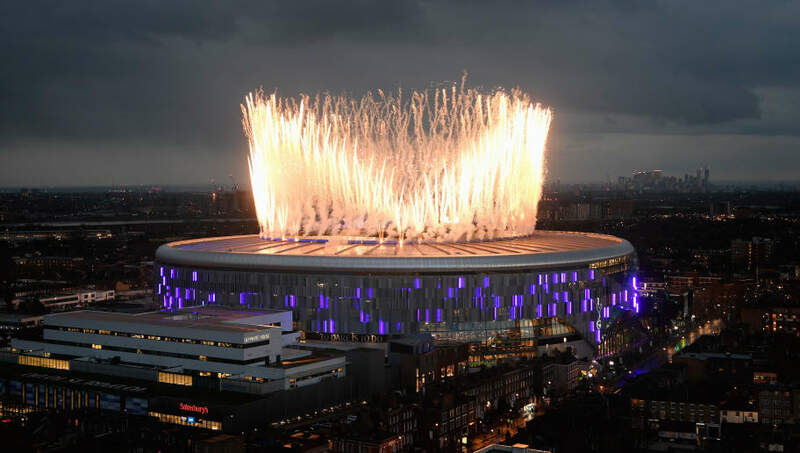 Tottenham fans didn't help their cause, however, as come claims that the new stadium is among the best in Europe were backed up with talk of the variety of restaurants within the ground - a sure-fire lead balloon on Football Twitter.